The reception for the publication of the Willow Glen Books anthology, Remembering, that took place on March 5, 2011, at the Firehouse at History Park, San José, was certainly worth noting. It was well attended by poets from out of town, and from the various corners of the South Bay who contributed to the geographical and cultural diversity of the poems in the anthology. Those from other parts of California or from out of state sent their best wishes to make the reception a success—not just the party in itself, which was terrific, but what transitioned in the course of the afternoon. After the initial mingling was over and the guests, gastronomes, and bibliophiles were satiated, they veered toward the seating, only to be surprised and inspired by what transpired. 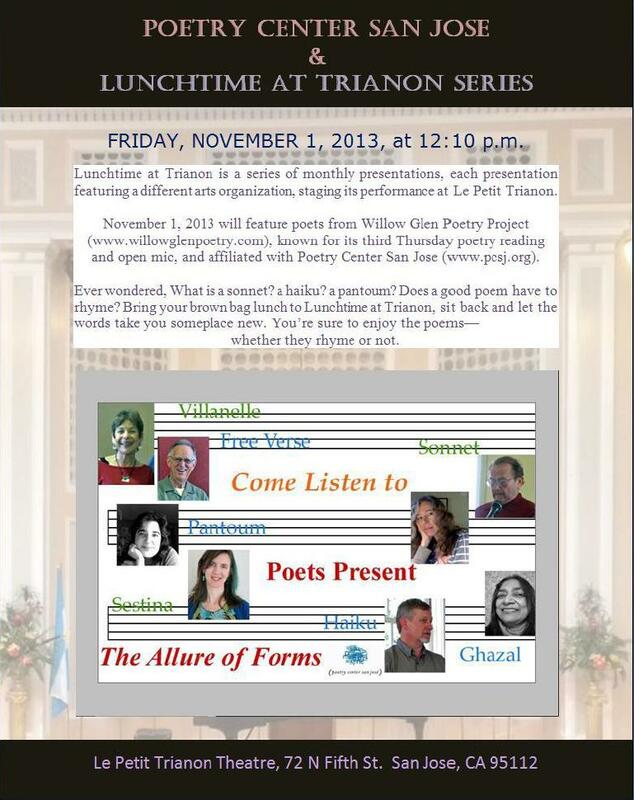 The emcee honored two notable individuals—Jean Emerson and Cathy Adkins—who were instrumental to the poetry reading at Willow Glen Books, without whom Remembering, the anthology of poems, would not have been possible. Jean Emerson, instilled by her passion for poetry and people, and supported by her poet-physicist counterpart Bill Emerson, invested her energy and enthusiasm in promoting poetry at the bookstore, and offered to publish the anthology under Jacaranda Press. 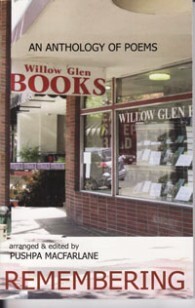 Cathy Adkins, owner of Willow Glen Books, who dedicated her lifelong passion for books and education, and generously provided a waterhole for the poets to gather and read to the community, gave permission to use the bookstore logo, photographs, and other attributes of the store in the anthology and on the website for promoting Remembering. These two honored individuals were the catalysts who set in motion the transformation that took place instantly at the open mic. Those present at the reception that Saturday afternoon most definitely would have experienced the ambiance of the poetry readings at the Willow Glen bookstore. 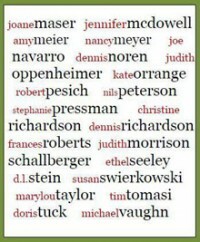 Each contributing poet who was present at the event read one of their poems from the anthology. As if a magic torch had been passed from player to player at a relay, the poets continued to read creating this magical aura of sensitivity and nostalgia that was felt and expressed by every participant that afternoon. One poet took the initiative to read a poem by one of the absentees, and soon others followed suit reading poems by friends and co-contributors who were unable to attend. 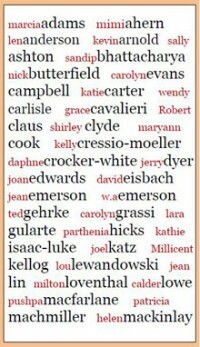 The poems in the anthology, Remembering, have been arranged in some form of a sequence by the anthologist. However, just like the letters are arranged and rearranged in the word game Scrabble, these poems seem to always create and recreate some form of a sequence at poetry readings. It is something to do with the spirit in which they are read. This is what made the readings at bookstsore especially memorable and extremely remarkable. It is no surprise that the current poetry reading on the third Thursday of every month at the Willow Glenn Branch of the San José library on Minnesota Aveue is well attended. It is here that the reading from the Willow Glen Books has segued since the closing of the bookstore in 2009. 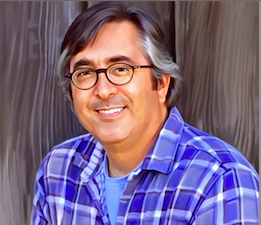 The community who attend with Pavlovian earnestness is the same community that experienced a world of poetry at the corner bookstore at Lincoln and Minnesota Avenue in Willow Glen. Those present at the reception that Saturday afternoon, also know fully well, that the emcee was hijacked ceremoniously and most unexpectedly to a hitherto unknown and untrodden universe, and has not yet found either words or ‘feat’ to get back to earth. 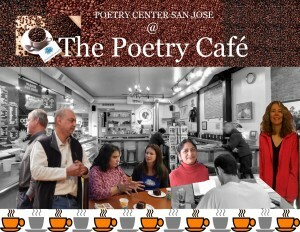 Good news awaits poetry lovers in San Jose, California, as January springs into February, 2011. 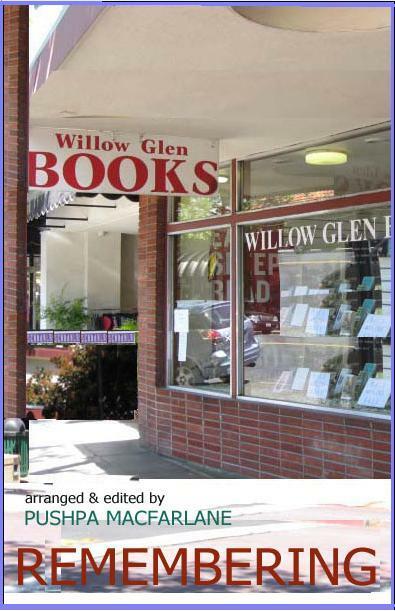 The Poetry anthology, Remembering, commemorating the monthly poetry readings at Willow Glen Books for nearly two decades, has finally been to the press and back for proofs. 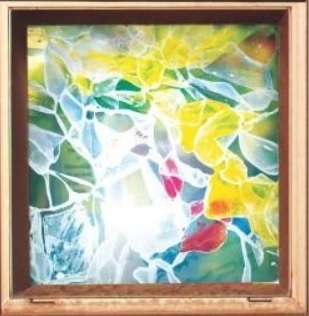 Fifty seven poets have contributed their poems and there are 107 poems in all, each creating its own music, telling its own story, and each painting its own masterpiece. It took several months to carefully select and sort the bunch of poems, ensure they met the specifications, and group them according to their variety to produce a quality blend with the right flavor. The resulting vintage now pressed and ready to be bottled has brought several months of passion and toil to fruition. We invite you to uncork the samples, breathe in the aroma, and get your first taste of the contents. Let the words linger deliciously in your palate and allow yourselves to be surprised. You will not be disappointed. Browse through the tabbed pages and feel free to comment. You can also find us on Facebook. Check this website from time to time for further updates and notifications about the availability of the anthology, and subsequent poetry readings in the community.